Although the divorce process does not officially begin until one party files a petition with the court, those who are considering dissolving their marriage should begin preparing their finances in advance. There are a number of steps that divorcing couples can take to get their finances in order and help the divorce process go more smoothly, so if you are thinking about filing for divorce and have questions about what to do next, please contact an experienced divorce lawyer who can advise you. Although taking these steps does not guarantee that a couple will not experience hurdles during the divorce process itself, it can go a long way towards helping the process go more smoothly. It is also important to note that a couple’s mindset will also play an important role during the divorce process. For instance, a spouse who goes into a divorce with the intent to negotiate will most likely face far less resistance than a spouse who refuses to compromise. Taking the aforementioned steps is a good way to evaluate your attitude in addition to helping you prepare your finances. Every divorce is different, so the solutions that may have worked for another couple might not be appropriate in your own case. However, it is true that most couples can take certain steps to make things easier on themselves throughout the process. 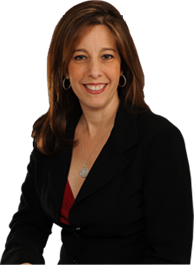 If you are filing for divorce and have questions about what financial steps you should take next, please contact dedicated Fort Lauderdale divorce attorney Sandra Bonfiglio, P.A. at 954-945-7591. Initial consultations are conducted free of charge, so please don’t hesitate to call or contact us online.